Life insurance isn’t necessarily at the top of your to-do list when buying a house but it’s very often a requirement that warrants serious consideration. Mortgage lenders can request life insurance as a safeguard to cover outstanding mortgage repayment debts in the event that you die before the loan is paid in full. This life insurance is frequently offered as a mortgage add-on by lenders – an option that might seem like the simplest way to proceed. But, as is so often the case in life, the convenient option isn’t always the best in the long run. Life insurance is a significant investment and shouldn’t necessarily be treated as a simple mortgage bolt-on. Beyond the fact that it is often a mortgage requirement, life cover can be a very worthwhile investment for your own peace of mind and the protection of your loved ones. Government death benefits are typically available to your family if you die (including funeral cover and bereavement allowance) but this isn’t usually enough to cover serious outstanding debt such as the repayment of a mortgage. If your partner and/or family live in a mortgaged home that depends on your income for repayments then you need to give some thought to what would happen in the event of your death. Life insurance can completely cover any such debt, giving you the assurance that your loved ones will be taken care of. Buying Life Insurance with a mortgage – What should I look for? 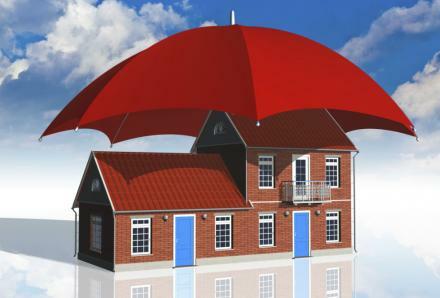 Finding the best mortgage life insurance for you is dependent on your particular circumstances. Before anything else, take a look through the various life insurance websites and online guides, these will often have a lot of information to explain a bit about what to expect if you are looking to get life cover for a mortgage debt and everything inbetween. In doing such research it is useful to be aware that the technical term to describe mortgage life insurance is Decreasing Term Insurance.” The life insurer Beagle Street, for example, refers to mortgage cover in the latter terms. Less product specific websites articles will, however, mostly refer to it as “Mortgage Life Insurance,” for example see the Wikipedia article on the topic. Do you already have a life insurance policy? You could be overpaying. If your circumstances have changed in the time since you originally purchased your policy then it could be worth switching. Upsizing? If you’re moving to a bigger home then there’s a good chance you’ll need to update your life insurance to account for your increased debt liability. Have you looked into your work benefits? Your employer may offer a death in service benefit which will pay out multiples of your salary should you die when you are employed by them. This can be a significant sum but may still not be enough to pay off your mortgage in full. It’s well worth investigating before you decide what life cover to opt for. What sort of mortgage are you taking out? The type of mortgage you get will undoubtedly have some bearing on which life insurance package suits your circumstances best. For instance, interest-only mortgages are paid off in a lump payment at the end of the mortgage term, making them a good match for level-term insurance, which will match the fixed debt. Alternatively, a repayment mortgage is probably better suited to decreasing term insurance, which will be aligned to the decreasing level of debt.